The 19th edition of Amsterdam Fashion Week has come to an end tonight, with the final catwalk show by Lichting supported by G-Star RAW. 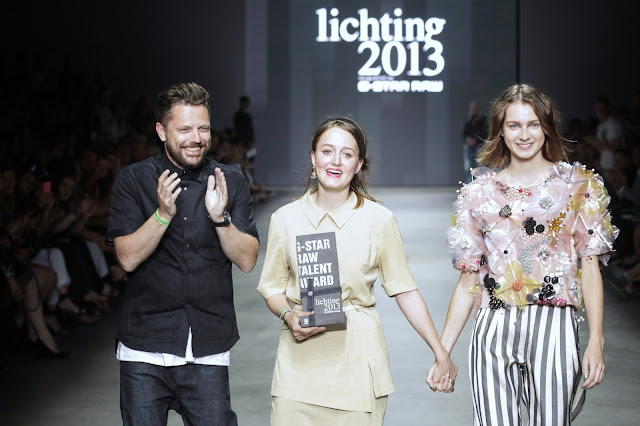 Between the 6th and the 16th of July, Amsterdam Fashion Week displayed the diversity of the Dutch fashion landscape to fashion professionals, national and international journalists and everyone who loves fashion. The diversity of collections, the various types of shows and the variety of media via which people could enjoy the event, typify the Amsterdam Fashion Week platform. With its four programmes ‘Catwalk’, ‘Fashion LAB’, ‘Business Programme’ and ‘Downtown’, Amsterdam Fashion Week embraces all facets of the fashion industry. 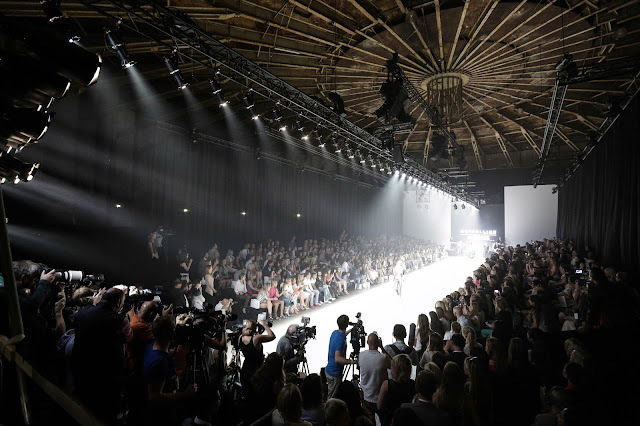 For the first time, the summer edition of Amsterdam Fashion Week took place in and around De Gashouder-building on the Westergasfabriek. The enormous industrial construction, the waterside lounge terrace, the view over the park and the beautiful weather, together provided for a spectacular backdrop. While thousands of fashion professionals enjoyed the catwalk shows every day, people worked around the clock, both back- and front stage, to produce a successful 19th edition. 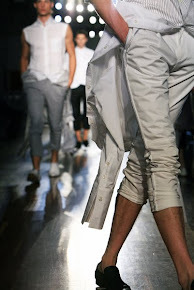 400 models allowed the fashion collections to shine on the catwalk; the catering team distributed 22.000 liters of drinking water to stay cool and 6 AFW-bloggers, 150 journalists and 200 photographers and cameramen reported the event. Fashion lovers around the globe could watch the shows on a livestream on www.amsterdamfashionweek.com and via the Amsterdam Fashion Week App, developed by Principal Partner Vodafone. The 19th edition of Amsterdam Fashion Week started on Saturday the 6th and Sunday the 7th of July with the public event ‘Fashion Weekend’, part of Downtown.The experience of fashion by the general public was the central theme, during eight pop-up catwalk shows in front of the famous museums around Museum Square, fashion activities organised by local entrepreneurs, The Fashion Bazaar under the canopy of Restaurant Stedelijk and opening party ‘CELEBRATE – Everyone’s fashion party’. With Downtown, Amsterdam Fashion Week aims to bring fashion ‘from catwalk to sidewalk’ and bridge the gap between the invitation-only catwalk shows at the Westergasfabriek and the visible fashion on the streets and in the shops. The 29 designers who showed their new collections on the catwalk this edition, gave a more diverse picture of the Dutch fashion world than ever before. There was a sharp contrast between the refined work of designers such as Anne de Grijff and Francisco van Benthum, and the exuberant and experimental collections of Nieuw Jurk and Winde Rienstra. There was a new sound in the presentations too. The Fashion LAB duo show by Armand Michiels – with his feminine corsets – and Franzel Amsterdam – with their raw collection and abundant use of leather – treated the audience on an exciting overall picture. Marga Weimans rediscovered the traditional catwalk, by giving a select group of visitors an exclusive preview and by inviting the public to take a closer look at her collection on the lounge terrace after the show. The children’s show by SuperTrash Girls caused a stir, by placing children of fashion journalists and celebrities front row. The 19th edition of Amsterdam Fashion Week also saw the birth of talent and innovation platform ‘Fashion LAB’. Here, promising designers get the opportunity to make use of all the facilities needed to professionally present themselves to the international fashion world. No less than 12 different Fashion LAB catwalk shows took place, from designers such as Armand Michiels, Nata Ryzh, FREDFARROWBRITTAVELONTAN and Dorhout Mees. In Fashion LAB, the starting and advanced talents are being prepared for their definitive breakthrough with an on-going programme of workshops, lectures and coaching. With Fashion LAB, Amsterdam Fashion Week also makes an appeal to the fashion industry to support its talents and to contribute to the shared innovation platform. With the Business Programme, Amsterdam Fashion Week aims to connect companies and entrepreneurs from the entire fashion supply chain and other industries. Members of the ‘Fashion in Business Network’, that was established in January 2013, receive invitations for (VIP-)get-togethers, catwalk shows, fashion-drinks and exclusive presentations throughout the year. Through the Network, they stay up to date on the latest developments, are able to network and receive help to benefit from the many commercial opportunities that the fashion industry offers. On Monday the 15th of July, the Business Programme-event ‘Keys to Success’ took place, where jeans experts from home and abroad talked about the future of Amsterdam as a Denim Capital. Brand Director of G-star Shubhankar Ray, Founder and CEO of Denham Jason Denham and David Koral of Koral Los Angeles, praised the city for its international trade network, hospitality, creative spirit and excellent business climate for the denim industry. The Business Programme also formed the starting point of the special tours that were organised for potential sponsors, in preparation of the 20th edition of Amsterdam Fashion Week, that will take place in January 2013.